Now we’re planning our next cycling tour and, yes, feeling very lucky. 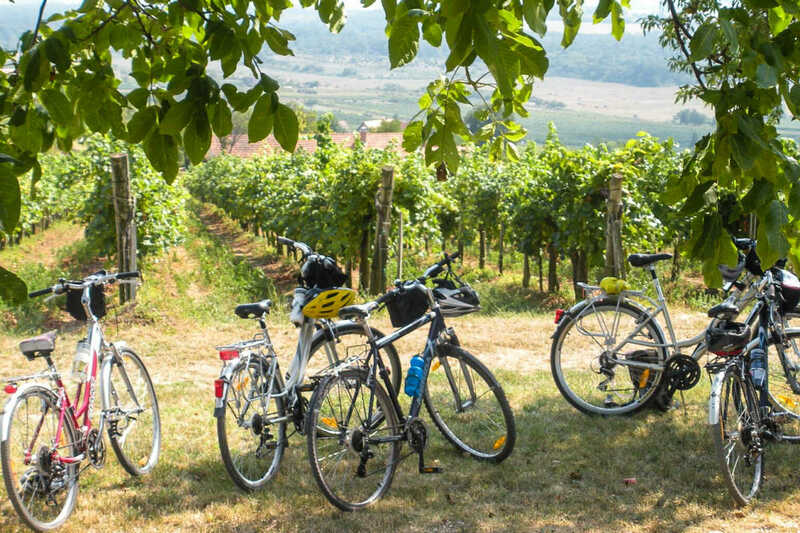 In May we’ll be hopping on bikes in southern Italy with BikeTours.com, an outfit that has introduced us to hundreds of options in European cycling tours. As we prepare for this next trip, we figured we share some of the details in order to answer all the follow up questions we get. Read on, or listen to our interview With Jim Johnson of Biketours.com on Travel Writers Radio. What’s so appealing about a bicycle tour? First, let’s just remind ourselves of the unique benefits of a bike tour. It’s more than a romantic notion. Viewpoint: Cycling keeps you close to the ground, all the better to see the landscape, the people, the agriculture and small towns: the human scale of a place. We love being closer to nature, smelling the earth and trees, or coasting into a village on a back street. From a car we would miss seeing the river below the bridge, or the kids playing in the alley, or the picnic set up in a back yard. These are highlights for the cyclist. 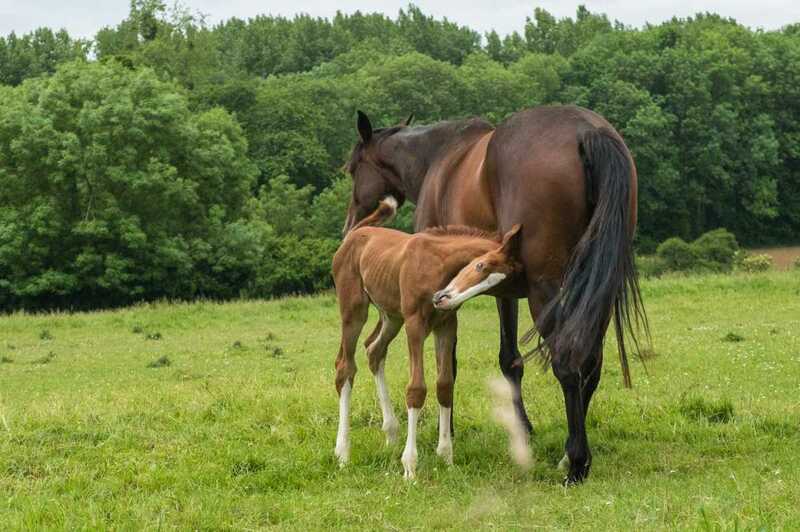 We brake for horses in pastures. Pace: The wonderful thing about bicycling is that there’s no timetable to follow. Without a strict schedule, the ride itself, ‘getting there,’ is the point and the accomplishment of the day. Whether you go with a group or self-guided, the pace is perfect for spontaneous stops for snacks or views or conversations with locals. We love the observation (author unknown) that looking out a train window is like watching a movie; biking is like being in the movie. Fitness: It feels good to move! Biking is manageable at nearly ever fitness level. You don’t have to be a jock to be able to pedal along. Our first Europe bike tour was just four months after my meniscus surgery on both knees. No problem. In fact, the riding was a welcome way for me to stay active without stress. Food: We love to eat, and food tastes better when you are physically active. Of course, being in the culinary cradle of Europe makes for tasty meals, too. Service and support: No matter what level of touring you choose, a good bike tour company will be sure you are well taken care of. As independent travelers, we love knowing that while we’re riding the logistics are covered. Hotels or guest houses are booked. Many meals are included, and we’re armed with a ton of recommendations for sightseeing and restaurants. The routes are carefully selected. Plus…our favorite perk? Luggage is carried onto the next stop, so we are light on our bikes. Special interests: Now that we’re booking our next Italy bike tour, we realize how easy it is to select a European bike tour that matches our travel style. Think about what you want to see and do when you are off your bike: historic stops? traversing national parks? beach time? visiting a small family farm or vineyard? We chose the Matera to Lecce itinerary because we’ve never traveled to the Puglia region of Italy and because we’re interested in its many historic sites including two UNESCO World Heritage Sites, the Trulli of Alberobello and the Sassi and Rupestrian Churches of Matera. Check out our overview of all of Italy’s World Heritage Sites here. 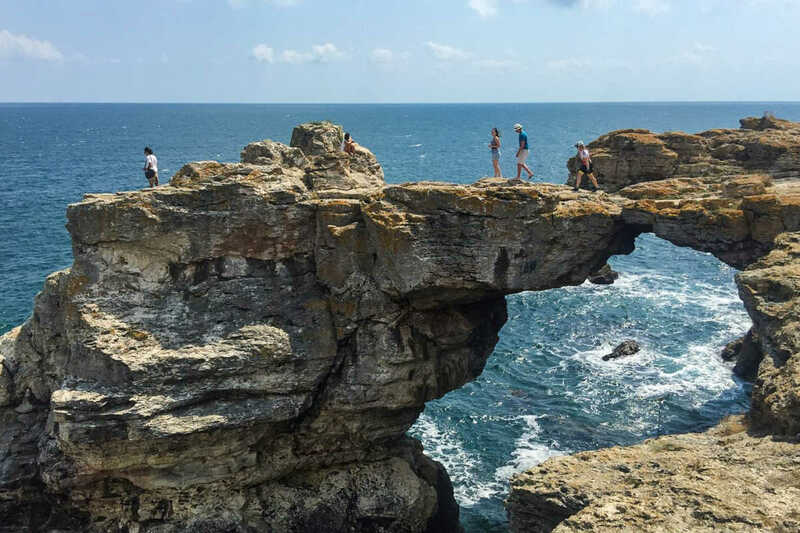 The overall travel experience: Think of a bike tour as an antidote to the hectic schedule of tourist groups bussing around to visit umpteen highlights in a day. Impressions of those quick visits often blur together. On a bike, the moments are more personal and memorable. We’ve spent many months each in Rome and Florence, for example, and toured many other Italian cities. But our bike tour in Puglia will be entirely new territory for us, and all the sweeter as we participate fully in the itinerary. We understand being a tad uncertain about the whole adventure of a bike tour. However, we’re of the mind that if we can do it, so can you! We’ve learned there’s a big range of bike trips designed for all types of people and styles. You can find one that’s right for you. Just express your concerns and ask questions, and you’ll be amazed at how prepared the tour companies are to assist you. Here, for starters, are real life examples of questions and responses. Prepare to have your self-doubt bubbles burst. I’m not sure I can handle it. My partner and I are at distinctly different fitness levels (and one of us is impatient). Don’t let a difference in ability or interest get in your way. Take advantage of electric-assist bikes offered on most itineraries. They are a snap to use and can help level the playing field. Don’t be mistaken: e-bikes are not mopeds. They use battery power to assist when the pedaling is tough, but you are still pedaling. I think of it like the glide of a swim stroke: the stroke is still human powered, but the efficiency is increased. I used an e-bike in Colorado one day and loved being able to take some extra detours up the mountain just to see what was up there. (And I quickly got over my chagrin, when the local hipsters assured me they use e-bikes, too, along with their mountain and road bikes.) One friend told me that using an e-bike made it possible to vacation with her adult children, who were interested in a more difficult, mountainous route than she was comfortable with. Worth it! I don’t even know how to change a flat tire. Guided bike tours come with experienced guides, bikers with know-how, and support vans. No need to worry about a flat tire…or even about a being too tired to carry on. Help is nearby. One thing we noticed on our cycling tour of France is how warmly bikers are treated. When I dashed into a coffee shop, no one questioned my heading to the bathroom before placing an order. In the bakery (I speak no French) the locals chuckled at my taking pictures of all the pastries, and as I began to point out my order, were only too happy to offer advice. “Get one of each,” I believe they were saying! I’m afraid to ride in traffic. With so many companies offering bike tours in so many countries for so many ability levels, it is assured you can find a ride on the surface you want. Europe is proud of its dedicated bike trails; they are wonderful, long-distance paths separated from traffic. Even when portions must share the road with cars, we found the French to be very respectful of bikers, often not passing unless they could safely pull out to the left lane. I like my creature comforts. This is a vacation; I don’t want to work too hard. A bike tour is a delicate balance. Think of a gentle work-out or yoga class followed by a lunch with wine. (Or, if you are more serious, a strong training day with a classy dinner at the end.) That’s the kind of action I like. Actually, because of our biking, we enjoyed hospitality all the more. Most hotels or guest houses are ready to store bikes, refill water, and cater to your happy hour while you recount the day’s highlights. To me, this is luxury. How to get started planning my Europe bike tour? Ask, and you will be rewarded with answers, choices, and recommendations. One of the reasons we’re excited to be working with BikeTours.com is that they, in turn, offer more than 200 tours from the nearly 70 European bike tour companies they work with—some of them for a decade or more. This gives us a chance to work with the best local bike tour companies in Europe, who know their stuff and are part of the local communities. Plus, we have the assistance of BikeTours.com (a U.S. company) to select the ones they feel best suit our needs and preferences. BikeTours.com has already done the vetting. In our European bike tour shopping, we can see that BikeTours.com is less expensive than some of the big North American companies, too, because they simply work with the local European rates, same as if you’d buy direct, but without those hassles. In what country do I want to bike? Think about what airport you’ll fly to. We like to spend a few days in advance adapting to the time change and doing our urban thing. We spent time in Paris before our French cycling tour; we plan to revisit Rome before we head to Matera, Italy. What do I want to see along the route, besides the road in front of me? We want pleasant countryside biking, not extremely hilly. But we really appreciate great vistas, historic sites, and local agriculture. I think we’ve hit the trifecta in Southern Italy. Your choice of itineraries can match your vision. 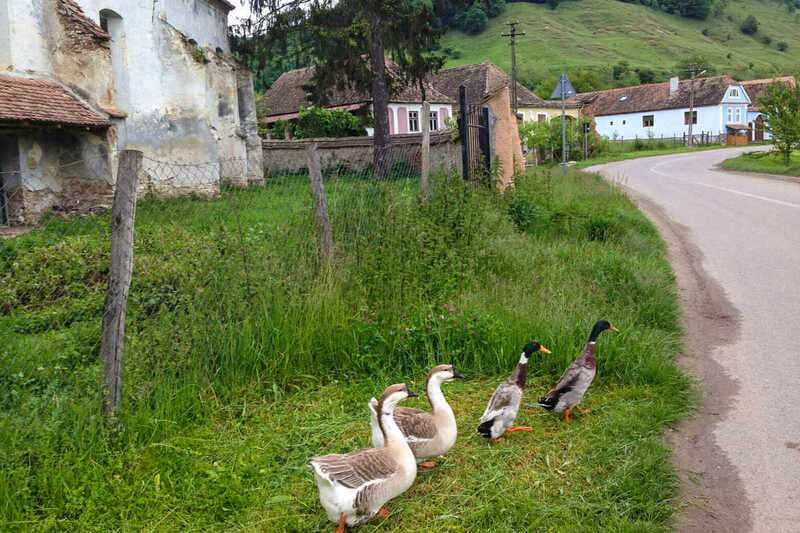 Should I take a self-guided tour or a group tour? What difficulty level and type of bike is right for me? It’s a little tough for us to offer advice on this, because we are still asking ourselves these questions. We’ll never know how the ride feels until we are out there doing it. But we’re confident that we won’t be in over our heads. Even in rural areas, in Europe you are never far from civilization. We’re OK walking our bikes up a hill if it’s too much. We like some challenge. We know we’ll improve as the week goes on…and feel good about it! On a scale of 1 to 5, we’re comfortable in the 2-3 range. Bike choice depends on the terrain and the rider. Just ask for advice. The standard choice for our rides is a hybrid touring bike. These hybrids are built for comfort, durability, and stability. They handle well on pavement as well as dirt tracks, with a medium size tire. The hybrids are lighter than a city bike and geared to take on hills and flatlands. Ours will be a 27-speed bike. (Road bikes are usually built with thinner tires and lower handle bars for least resistance and higher speeds. They can, however, be less stable on cobblestones and dirt roads.) Before the ride begins, we’ll take time for minor adjustments. Individual fit and preferences (such as how upright the biking posture) can be accommodated with fine tuning. E-bikes are an option on our Matera, Italy, ride, too. While we’re going the hybrid touring bike route, we encourage others, especially on limited holiday time, to opt for e-bikes to maximize enjoyment of the itinerary. How can I keep my bike tour within budget? Browse various bike tour websites to see the basic cost per itinerary. Besides that, the only other major cost is your flight and transportation to the starting point and back. If you have concerns about budget, work with an operator who will help you find good basic lodging. Other ways to save money include sharing a room and limiting restaurant meals in favor of picnic fare. We traveled with our own bike helmets (check to see if these are provided or for rent) and our own water bladder packs (not necessary, but wonderful to have). That’s about all the equipment needed for this sport, since the bikes are provided. We’ll be covering the growing business of Europe bike tours in the coming months and sharing our packing and preparation tips. Stay tuned and follow us as we get our act together. Note: We’ll be hosted on our upcoming bike tour in Puglia Italy by BikeTours.com. Travel Past 50 is partnering with BikeTours on content and marketing to promote European bike tours to people like us because we’re big fans of this sort of travel. The experiences written about here are authentically ours, as are our opinions. Thanks, Deb! Your tip for some pre-trip training is appreciated! Given our winter weather conditions now, I’ll want to head to the gym. We’ll post again about the training and packing before we start. Feel free to add a note about what you packed, or wish you had. Thanks again. So I’ll start bychiming in-I’ve always wanted to take a bike tour. The process seemed so overwhelming, I’m thrilled to learn about Bike Tours and their ability to curate a list of companies to suit your needs. My dream is to take one in Vietnam Nam. Thanks to your post, I feel a bit closer to actually getting there! Thanks, Alison. Yes, it’s great to have BikeTours narrow down the field for us. Decision making is difficult when, like us, you want to do everything. I’ll happily follow your posts when you get around to biking in Vietnam! It is all you need to know when you go on a bike tour. I believe all the benefits, especially the fitness advantage and the close to nature plus. There is only one problem for me. And you hit it right on the head when you said…If you can ride a bike! My husband always regrets that I don’t! Oh dear! But on the other hand, once you learn, it’s never forgotten. You can still learn! Wouldn’t that be wonderful? Thx for this fantastic post, Kristin. I was going to say I didn’t think I’d enjoy a bike tour too much as I’m a bit weak in the knees. And then you mentioned the electric-assist bikes, so I eagerly read on, knowing that I could definitely do this. It’s a great way to be able to stop and smell the roses! 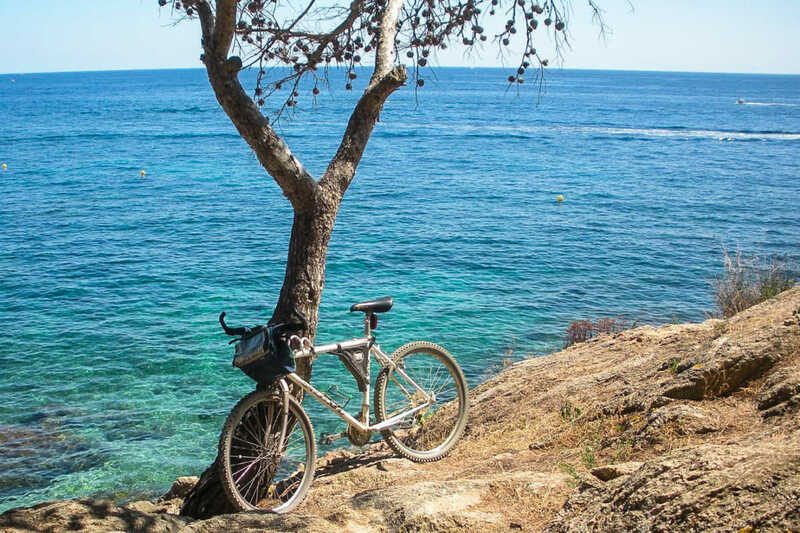 I had the chance to try out an ebike in a post-Tbex trip to Tarragona. Talk about a game changer, and if I could figure out how to ride one, it’s pretty much dummy proof. Now that Mr. Excitement has checked the Galapagos off his bucket list, I’m sending him the link to this post. He really enjoys riding his bike during the summer “down the shore” in New Jersey, so I think this type of touring would appeal to him, and I’d be wiling to challenge myself. (I’m seeing myself as the Tom-esque part of the bike riding couple). We’re doing a small group tour in Italy with an alumni group from our college. I’m wishing I read this before we committed to that. Yes, a game changer! I trust you’ll find another occasion soon to tour someplace in Europe by bike with Mr. Excitement! The routes in France, Greece, and along the Danube are appealing to us, too…. Also, you’ll be surprised to hear (as I am to observe) that since my knee surgeries, Tom often walks AHEAD of me! Gasp! I can certainly see the advantages of biking across Europe. I learned a lot from your informative article. I think I would practice a lot before I decided to take it on though so that I could make it up the hills. :-) There are so may tour companies offering bike tours and now I can see why they are so popular!! I love cycling as means of experiencing a place. You learn so much more about a place and its people than if you encased in glass and steel and traveling at 60mph. People are so much more welcoming to travelers that arrive by bicycle. My theory is they know you’ve put in the work to see their part of the world and they respect you for that. I’ve done a couple of bike tours. One one the East Cape of New Zealand and one near to where you are headed next in Salento in Southern Italy. I think you love riding in Puglia. That’s great to hear, Jerome. I agree, a bike is a great icebreaker. Conversation–even across language barriers–is much easier when your travel is paced nice and easy on a bike. I’d love to visit New Zealand some day. It’s still on our list. Thanks for following! 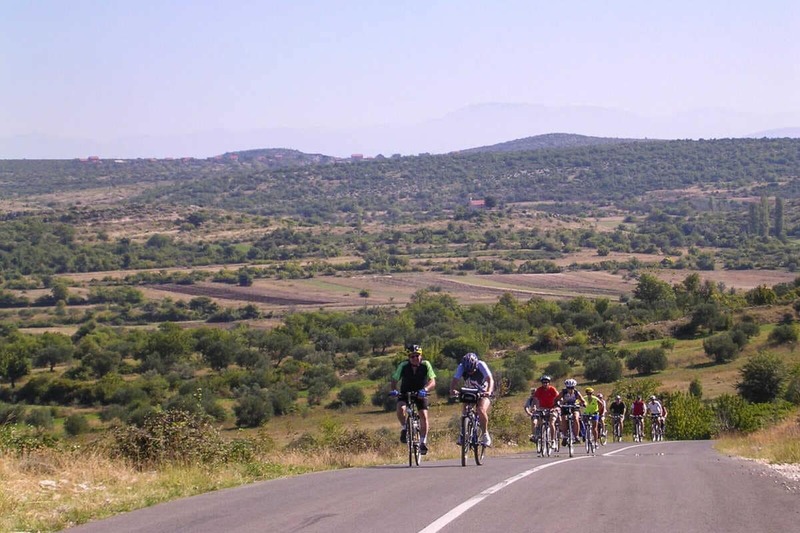 European Bike Tours sounds like a fabulous resource for boomers. 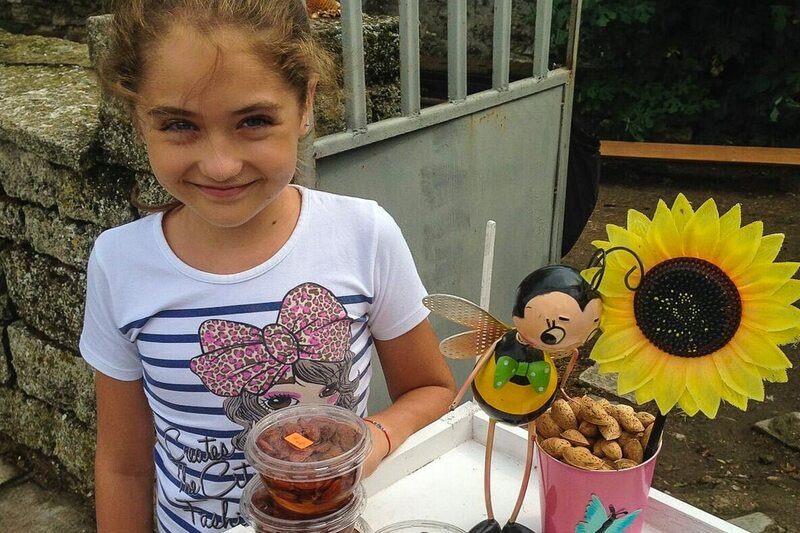 We just visited Puglia and can guarantee you’ll have a wonderful time! Irene, I’ve been following your excellent posts from Puglia–and elsewhere in Italy. We’re following in your footsteps, or rather making a bike route through the same territory. Hi there, I’m so glad that I have found your post/blog. My husband and I are from Australia and did our first European bike tour last September in France. Oh, beyond amazing! We did the Loire valley with Loire Valley Breaks, staying in the one B&B accommodation throughout, doing self guided day rides each day. Magnifique! Then we travelled by train (so efficient) to the Aquitaine region and biked around the Dordogne for 8 days. We did this with Robert from Aquitaine Bike Tours. I cannot recommend this way of travel more highly. As you have mentioned it is a fantastic way of experiencing EVERYTHING , from the sounds and smells, the fresh air, the advantage of having no barrier between you and nature, and just feeling like you are part of it all, as opposed to looking on as a spectator. And we also found the French people to be so helpful and friendly. We did not ride past a single person who did not greet us with a “Bonjour”. My sister and I did a bike tour in Vietnam and Cambodia in 2015 with Grasshopper tours which was the catalyst for my husband and I now wanting to ride everywhere! I feel like we need to do a tour every second year as we are in our early to mid fifties and as you can appreciate starting to experience a bit of Wear and Tear on our joints! Our next tour will be in Italy. We also enjoy mid range graded tours as we are not crazy racing cyclists but are happy with moderately challenging rides. Can you recommend a ride including Tuscany, Florence and any other areas that we should visit. We only have two weeks to play with though. Thanks again, Sharon and Tim. Sharon, you expressed the benefits of travel by bike so well! I love that you enjoy the sounds and smells, as we do, from this close-up experience. Sorry for the delay, but I will follow up with you on ideas in Tuscany. Thank YOU for chiming in!